Tasmania is one of the most beautiful places in Australia and in the world. Full of natural beauties, extraordinary wildlife, and gorgeous landscapes, it’s a perfect eco-friendly destination for body and soul. While you can’t see all Tasmania has to offer in one trip, you will certainly be back to discover more. But for your first time, start with some of the places from the following list. 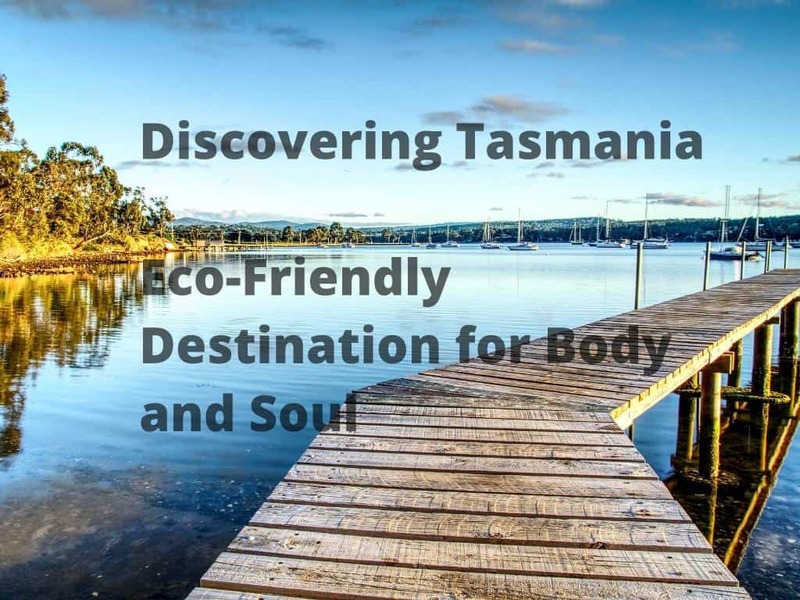 They are perfect to meet Tasmania and get to know what it offers. The beginning of the year in Tasmania is ideal to visit Lavender Fields at Bridestowe Estate. The best time to come there is in February, although the flowers know to bloom earlier at the end of January. The best time of day to enjoy the sweet smell of lavender is at sunset and you can even get some souvenirs from the gift shop. If you can’t make it to the Lavender Fields in February, visit another flowery location in October. That is the time when Bloomin’ Tulips Festival takes place on Northwest Coast of Tasmania. Tulips of different colors spread across the field in different colors making it a true sight to remember. If you want to meet some of the Australian histories, visit Maria Island, National Park. This is a place where you can see 14 ruins of the convict buildings from the probation era which are also listed as World Heritage. The way to the island is by ferry so you will enjoy some nice views on the way there. Besides the ruins, you can also spend time on amazing beaches and have a look at the Freycinet National Park from the nearby cliffs. You can participate in bird watching and even spot kangaroos and Tasmanian devils which live in the area. And the best thing is that you can also spend the night at the island in one of many accommodations. Bay of Fires is one of the most incredible places to see in Tasmania. This area is famous for the orange rocks and white sand beaches, but it’s also a nice spot to enjoy some undisturbed nature. You enter the Bay of Fires through the village of Binalong Bay which is also a sight for itself. This Conservation Area is rich with secluded beaches, gullies, and forests which make it a perfect spot to hike or simply take a relaxing walk. Also, you can go fishing and do some whale watching in the open sea, as well as do some diving to observe the marine life. Three Capes Track is one of the most popular trails in Australia with Cape Pillar, Cape Hauy and Cape Raoul as the center of attraction. This is a several days journey you can experience by joining Three Capes Walk to cross almost 30 miles long trail. On your way, you will go through a rainforest, flowering valleys and spend nights in the comfort of eco-friendly cabins. In the end, you will arrive at the clear turquoise waters and pearly beach of the Fortescue Bay where you can spend some time swimming and relaxing. You don’t have to worry about carrying your things or anything heavier than a water bottle since the walk organizers will take care of that for you. This way, you will be able to truly enjoy magnificent nature on this long track. Tamar Valley is famous for the myriad of wineries thus labeling it as the Wine Region. This location is 10 minutes away from the Launceston by car or bus and it offers the best wines in Tasmania. The climate is cool enough to enable the production of high-quality wines like Ninth Island. The wine route is often included in the best ones in the world by travel magazines and tourist guides. If you want to try the wines with some fine cuisine, visit one of the local restaurants or pubs. When in Australia, you can also visit a small Swiss-themed village called Grindelwald. It’s located outside of Launceston and the architecture will truly make you believe that you are in Switzerland instead of Tasmania. It is a nice place to spend some relaxing time to play golf, shopping or having a cake at the chocolate cafe in the village. You can stay at the local resort and spend a few days playing tennis, visiting nearby Tasmania Zoo, Seahorse World and have a day spa. The village has an amazing bakery with all sorts of delicacies perfect for breakfast and as treats after long walks. If you have an opportunity to visit Tasmania, don’t miss it. The island offers beautiful landscapes to hike, spend some relaxing time and enjoy its rich flora and fauna.